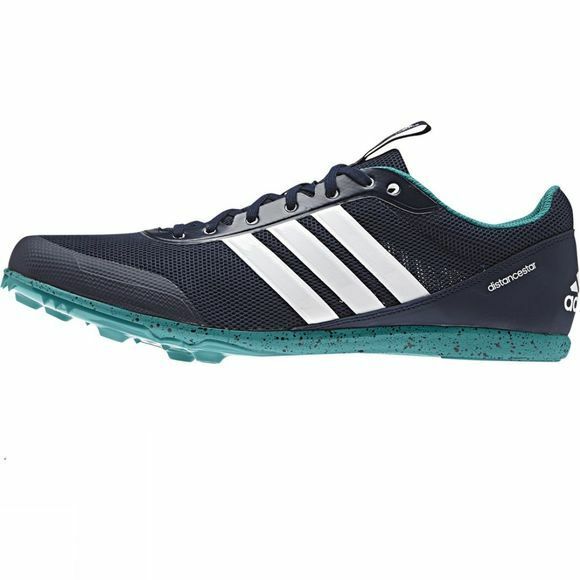 The Distancestar Running Spikes by Adidas are the go-to shoe for the middle to long distance runner looking to step up their indoor or outdoor running performance. 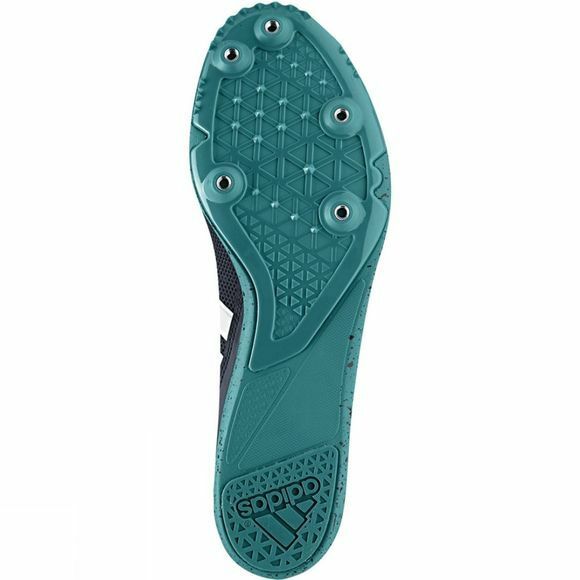 Relax, your foot is protected through the entire gait by a seamless toe cap, whilst a synthetic heel holds your foot in place to help you pace the curves of the track. The lightweight, breathable mesh upper allows fresh air to penetrate the interior layer to keep your foot cool and sweat-free from the start gun to the finish. Thermoplastic polyurethane, a strong and resistant material used for making shoe soles. An extremely durable, non-marking rubber used primarily for high-abrasion areas in tennis shoe outsoles.